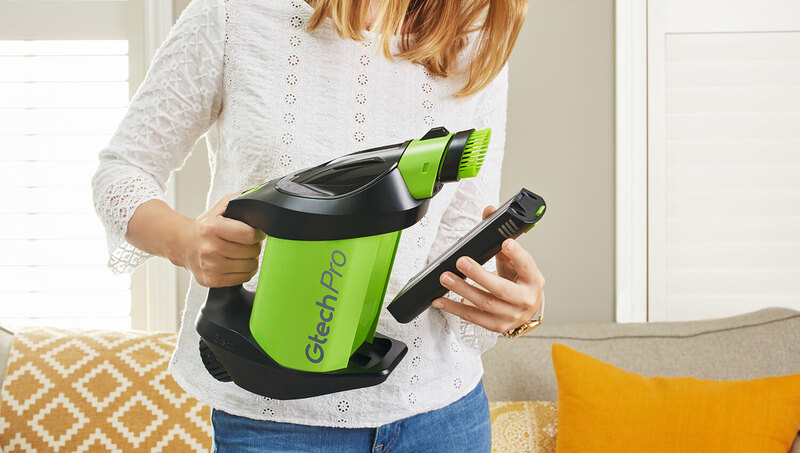 The Gtech Pro is our first ever bagged vacuum and combines the convenience of cordless with the versatility of both handheld and floor cleaning. 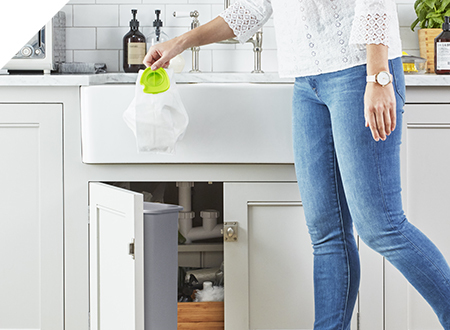 With hygienic bags for easy disposal, we’re minimising maintenance time and helping keep your bin, and the surrounding area, clean and dust free. Free! 1 year's worth of bags with the Pro. Auto-adds to your basket. Why choose a bagged vacuum cleaner? 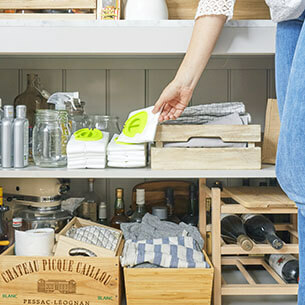 Bagged cleaning offers a hygienic, mess free alternative for busy homes. Dirt, dust and hair is trapped within the bags, meaning you don’t need to come into contact with it while emptying your vacuum. 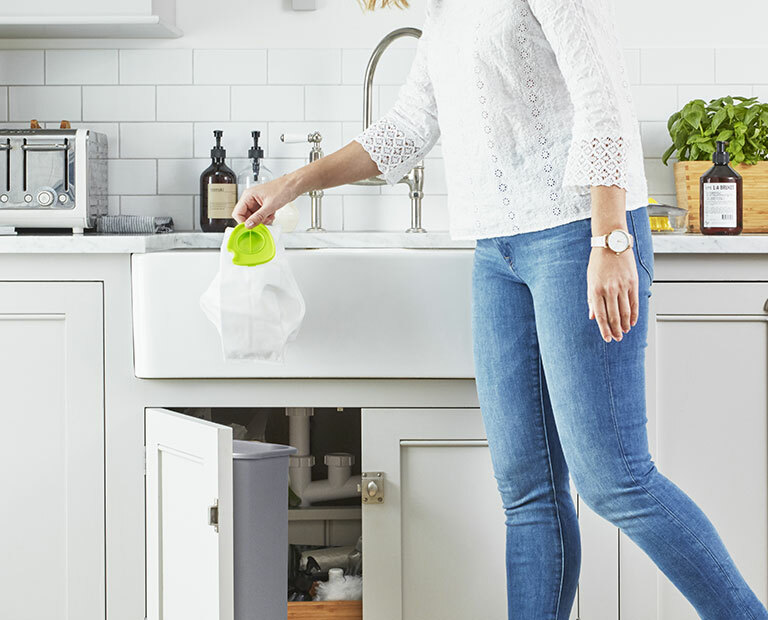 If you’re not one for upkeep, bags are the perfect option - you don’t need to clean out any filters as each new bag is essentially a fresh start, keeping maintenance to a minimum and letting you get on with enjoying life. 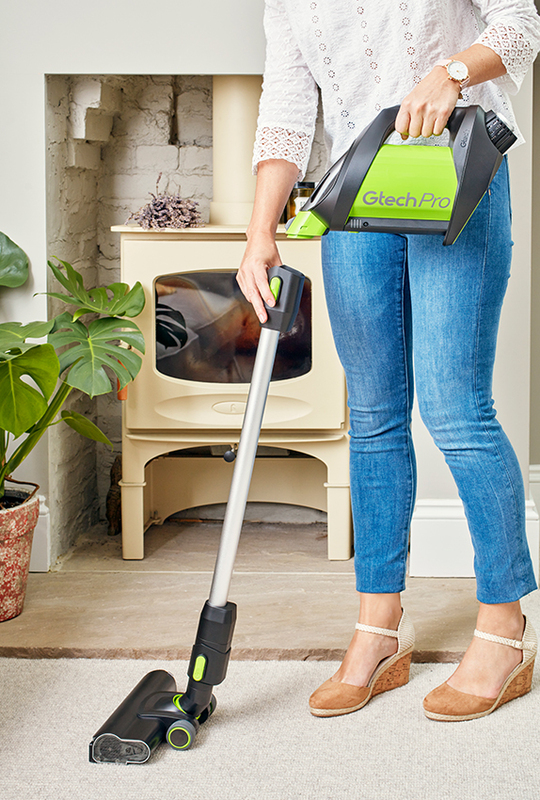 In order for you to get the most use out of each bag, the airflow continually pushes dirt down into the bag as you vacuum. This means that the 1.5L volume can hold more dirt than you might be accustomed to with products of a similar size. The pleats in the bags increase their dust capacity, meaning you can go longer without having to change them. Vacuum bags need to be sturdy enough to hold dirt and debris while you clean, and strong enough to avoid ripping or tearing during disposal. That’s why we’ve securely fused together the tops and sides of the Pro’s bags, helping you clean with confidence from start to finish. 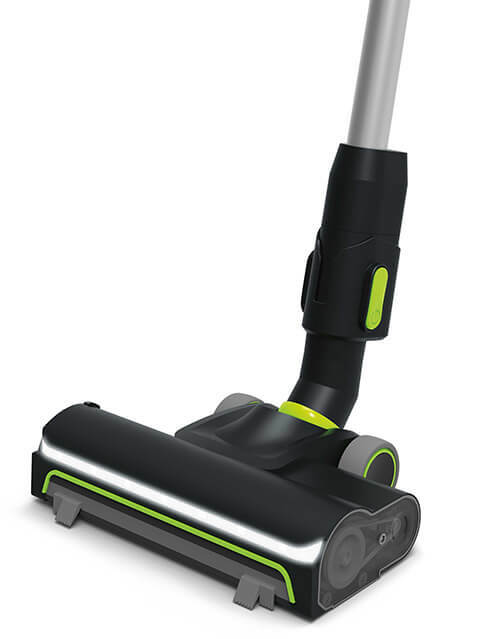 The Pro’s vacuum bags are made up of three layers, offering convenient cleaning as well as a more hygienic vacuuming experience. The layers of the bags are breathable and filter different grades of dust and debris. This helps the Pro’s airflow compress the dirt more efficiently, giving you maximum capacity and durability. You don’t need to change bag as often as you think, as each holds up to 1.5L of compressed dirt and dust. 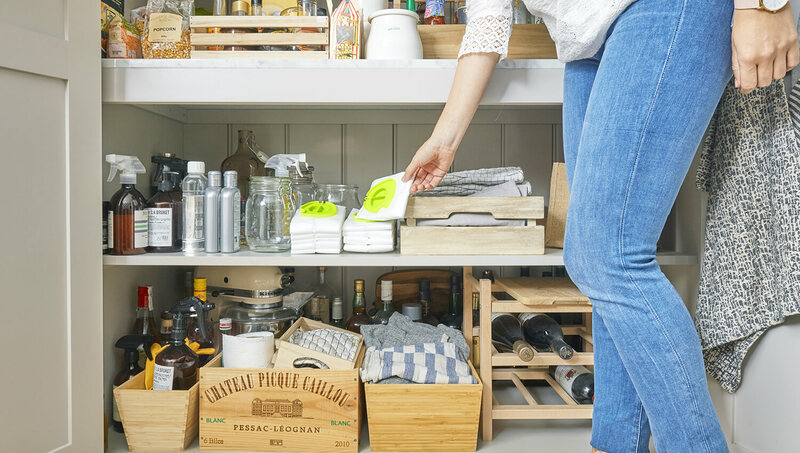 The number of bags you’ll use depends on how many people live in your home, whether or not you have children and pets and your general cleaning schedule. Homes with pets and children, where cleaning is done 3 times a week, average just 10 bags a year±. That’s down to the enhanced dust capacity and durability of the Pro K9’s bags. 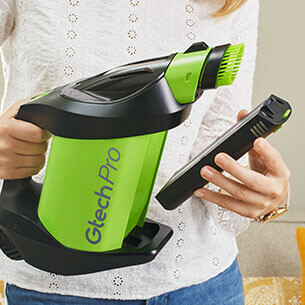 The Gtech Pro can be used in handheld mode for jobs like car cleaning. 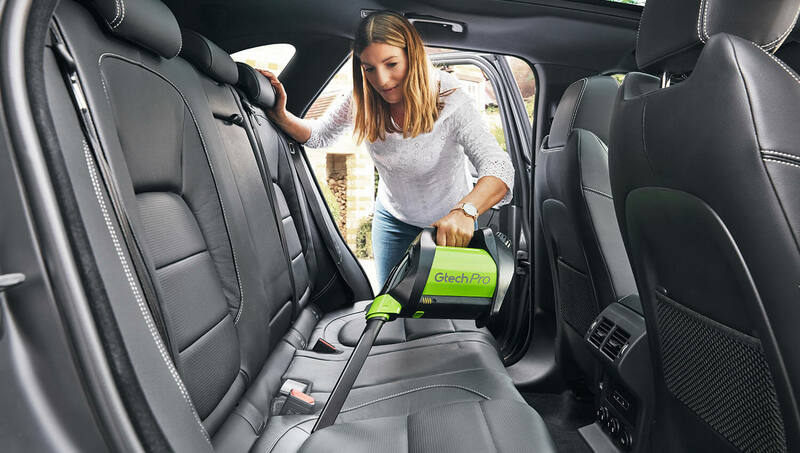 The powered brush head is designed to lift stubborn dirt, dust and hair from a variety of surfaces, including car upholstery. Tackle any leftover mud and grass in your footwells and boot for the perfect finish. You don’t need to change bag as often as you think, as each holds up to 1.5L of compressed dirt and dust. The number of bags you’ll use depends on how many people live in your home, whether or not you have children and pets and your general cleaning schedule. Homes with pets and children, where cleaning is done 3 times a week, average just 10 bags a year**. That’s down to the enhanced dirt-capacity and durability of the Pro K9’s bags. 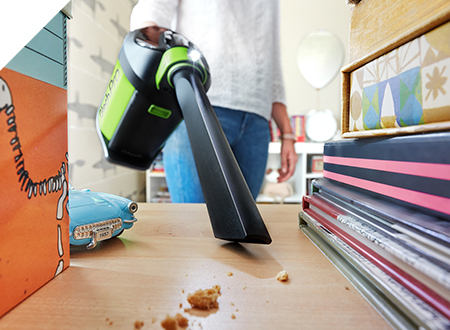 For those who prefer to keep the results of their cleaning session out of sight, our bagged vacuum offers a convenient solution, efficiently removing dirt, dust and debris from around your home. 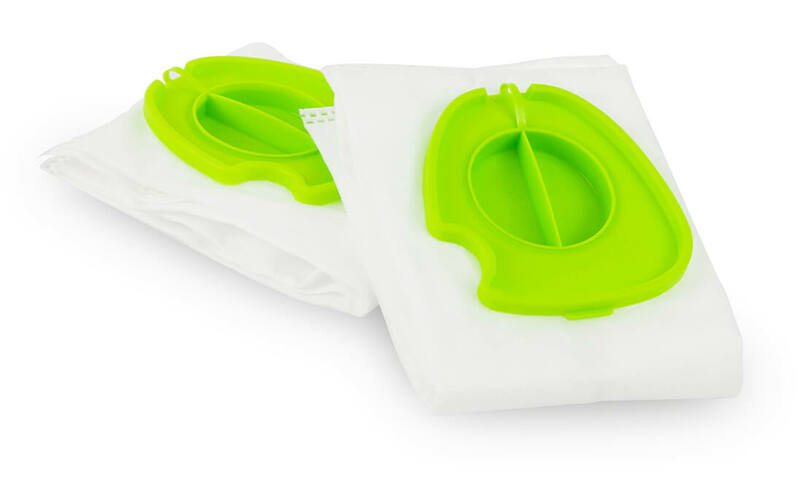 The Gtech Pro comes with 2 hygienic bags, but ordering more couldn’t be easier. Replacement bags are available in packs of 10 for just £12.99 each. With no cord to hold you back, you can move from room to room without changing any plug sockets, saving you time and effort. 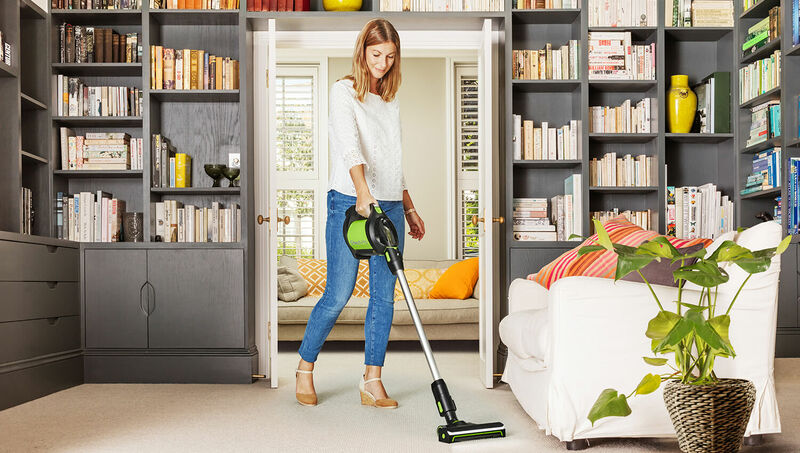 This bagged vacuum cleans floors while in upright mode, and can be transformed into a handheld for upholstery, stairs and any tricky spots, like skirting boards** and tight corners. The 7 cleaning modes use the attachments in different configurations, each offering manoeuvrability as well as cleaning performance. 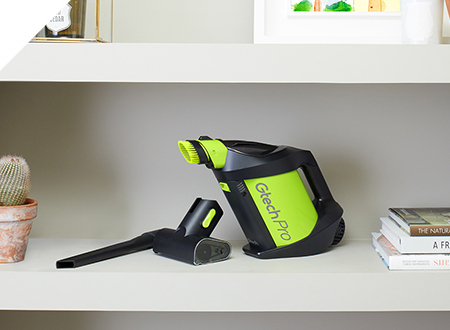 With a nozzle and dusting brush, you can clean floors as well as upholstery, stairs and delicate surfaces, such as blinds and dashboards. 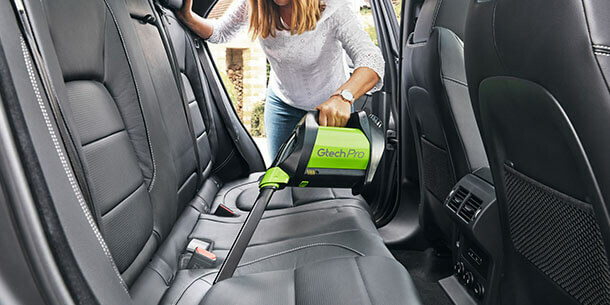 Our crevice tool lets you clean skirting boards and tricky to reach spots in your home and car, like gloveboxes and door pockets. 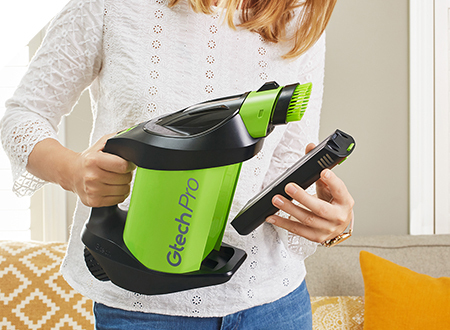 The Gtech Pro weighs just 1.4kg when in handheld configuration** and 2.4kg in its upright mode, so moves fluidly around your home as you clean. We’ve stripped back the cord and the bulk with the Pro, making it ideal for compact living spaces that are low on storage room. 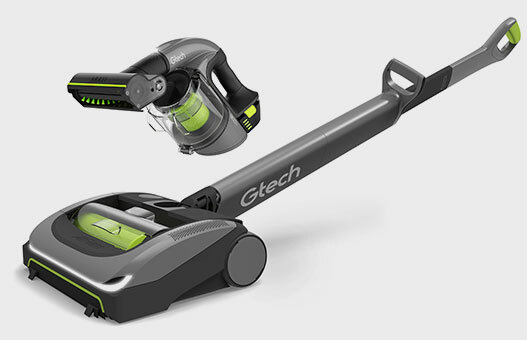 We’ve powered this vacuum with a 22V Lithium-ion battery, which fully charges in just 4 hours. 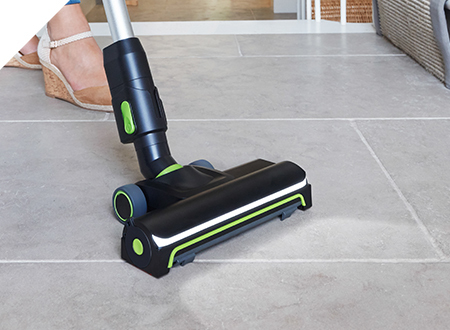 With 2 power settings to choose from, you’re in control of how you clean. 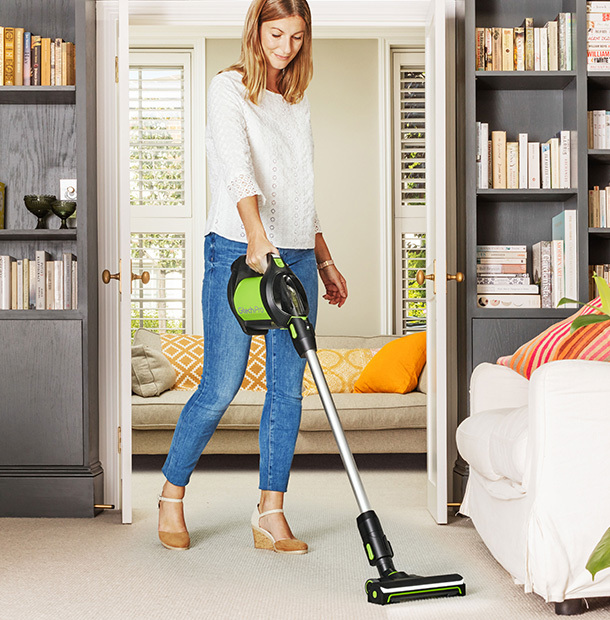 Choose our ‘Eco’ mode for up to 40 minutes of runtime* or ramp it up with ‘Max’ mode for up to 20 minutes*. There’s a 4-stage LED indicator on the battery, showing how much charge is left. 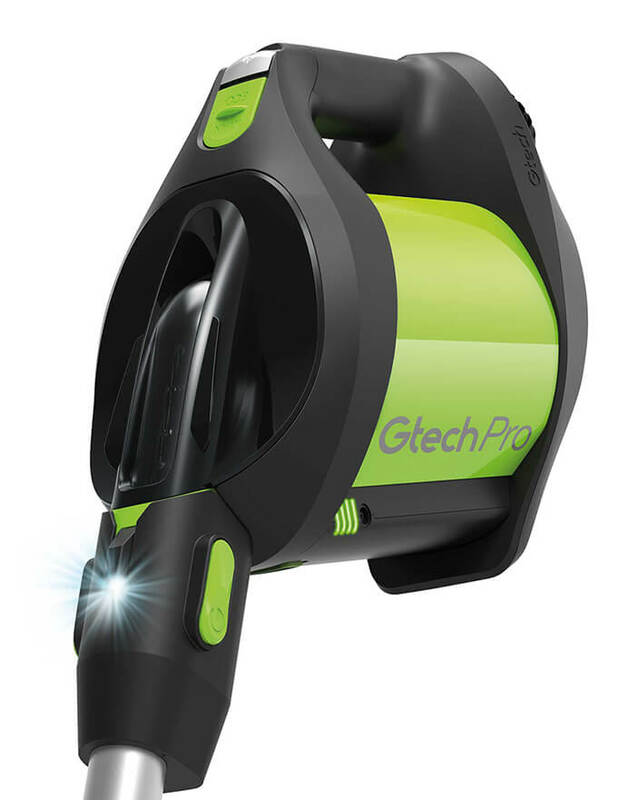 The Pro’s powered brush head features Gtech’s unique AirLOC technology∆, designed to pick up larger debris while you vacuum forwards and lift fine dirt, dust and embedded hair on the backstroke. 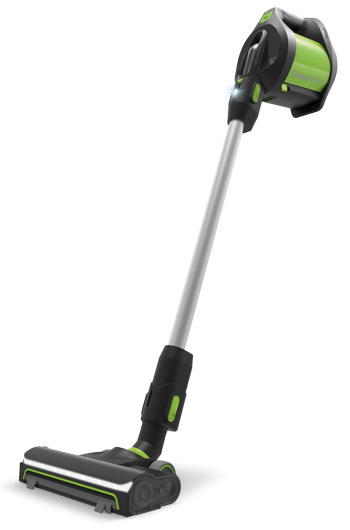 Full width LED lights illuminate your cleaning area, making dirt and dust more visible. ± Gtech consumer product development testing, 2017. **Weight = 1.4kg when used with nozzle; 2.4kg in upright mode. Weight varies according to the attachment being used. We bought this for our home in Spain. It’s perfect. So light and small enough to fit in a suitcase. Excellent product. Only had the Gtech Pro for a few weeks. Up to now it is very good . 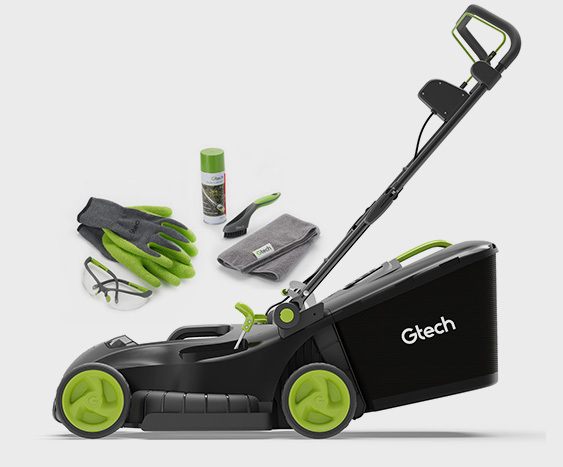 Very pleased with my gtech and service was excellent. 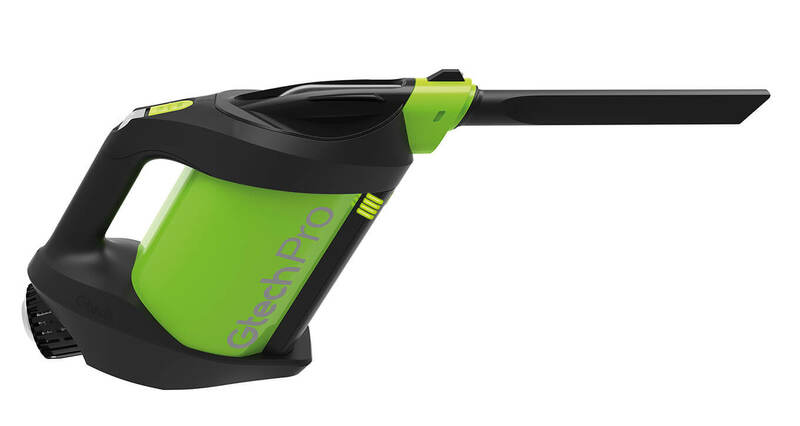 I love my new G-Tech Pro vacuum cleaner. It is very lightweight but nevertheless extremely efficient. The accessory tools are all very useful and will be used regularly but best of all are the dust bags. 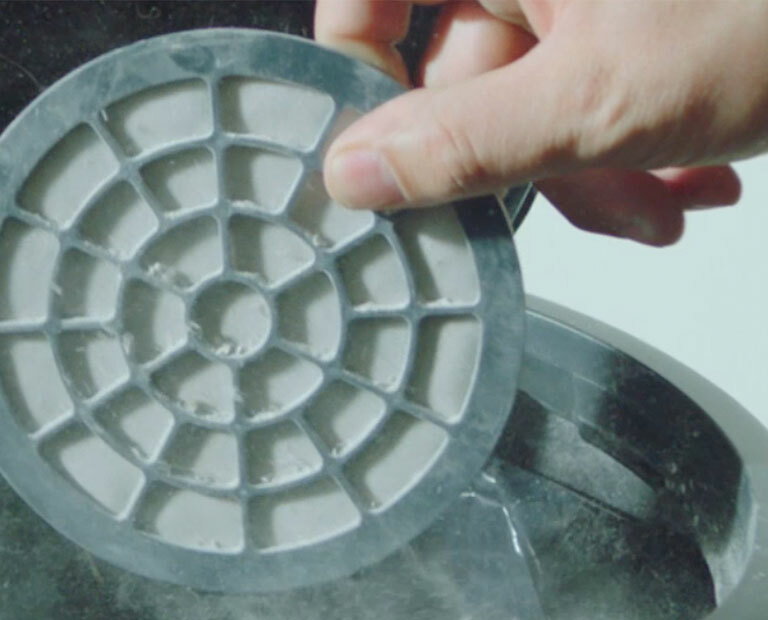 No more flying dust when emptying the bin and no more washing of dirty filters. It looks good too and worth every penny. 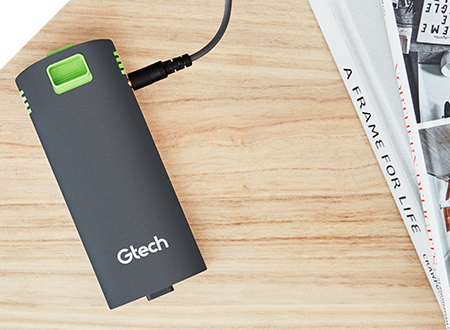 you will be notified when Gtech Pro is back in stock.